One of my favourite parts of summertime is the crazy-delicious fresh peaches grown right here in Ontario. 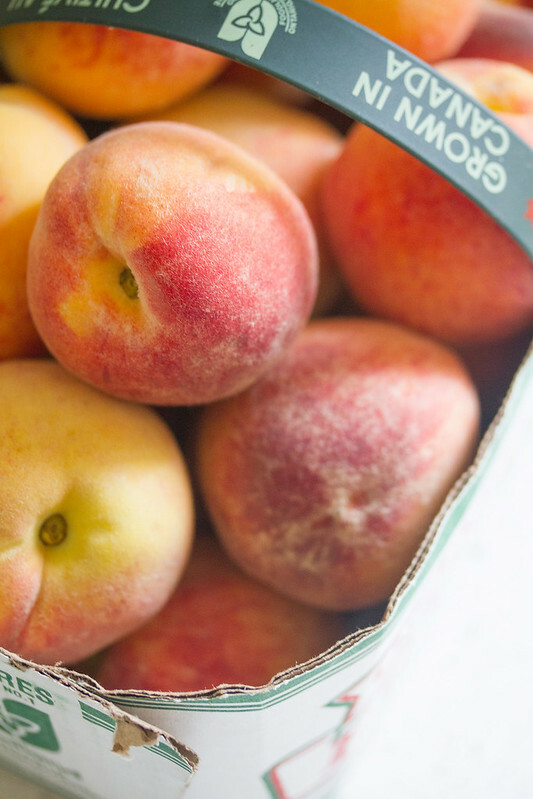 And that’s been especially true these past couple of weeks, because this year’s crop of Niagara peaches is especially amazing – intensely flavourful, sweet and oh-so-juicy. Forget Eat a Peach Day. 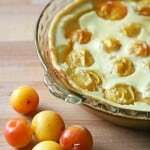 At my house, it’s basically Eat a Peach Month all August long. 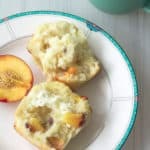 I have pretty much eaten my weight in peaches over the last couple of weeks, and have absolutely no intention of stopping until the peaches are all gone. It’s an annual tradition. My only problem is that sometimes I just can’t eat those peaches quite fast enough, and a few of them end up a little past their prime. 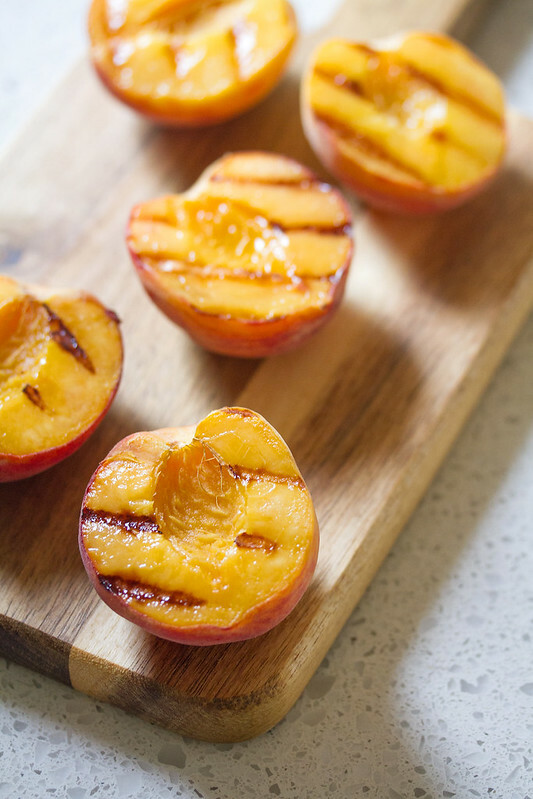 Thankfully, there’s plenty you can do with a slightly overripe peach, even if it’s too smooshy to eat out of hand. I’m talking about everything from cake to muffins to barbecue sauce. 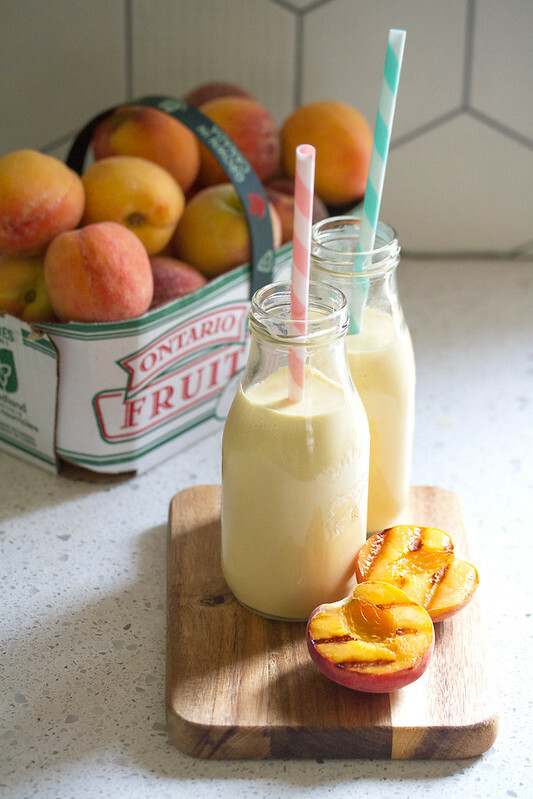 One of my favourite options is lassi, an Indian yogurt-based drink that’s typically made with fresh mangoes, but is equally good made with just about any summer fruit you’ve got kicking around. 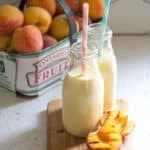 You can make a perfectly lovely lassi using just fresh peaches and yogurt, but I’ve discovered that something magical happens when you grill them first – the flavour gets a little deeper, a little mellower, and a little bit sweeter. A splash of kefir keeps things bright and tangy, while a sprinkle of cardamom adds a little exotic je-ne-sais-quoi. It’s a tall glass of bright summer sunshine on a hot, muggy day (or a torrentially rainy one, for that matter). My only complaint is that with summer slipping by its usual breakneck pace, it won’t be long before peach season is done for another year. All the more reason to eat so many that I’m sick of them by then! It’s National Eat a Peach Day! 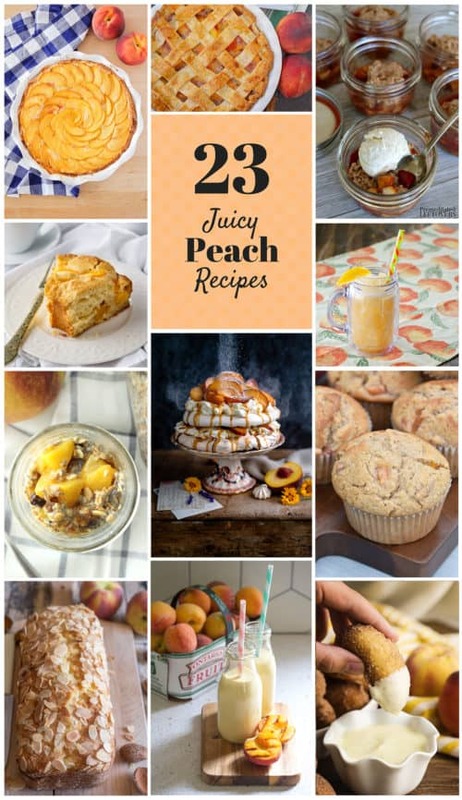 I’m joining up with some of my favourite bloggers with 23 peachy-keen recipes to celebrate. 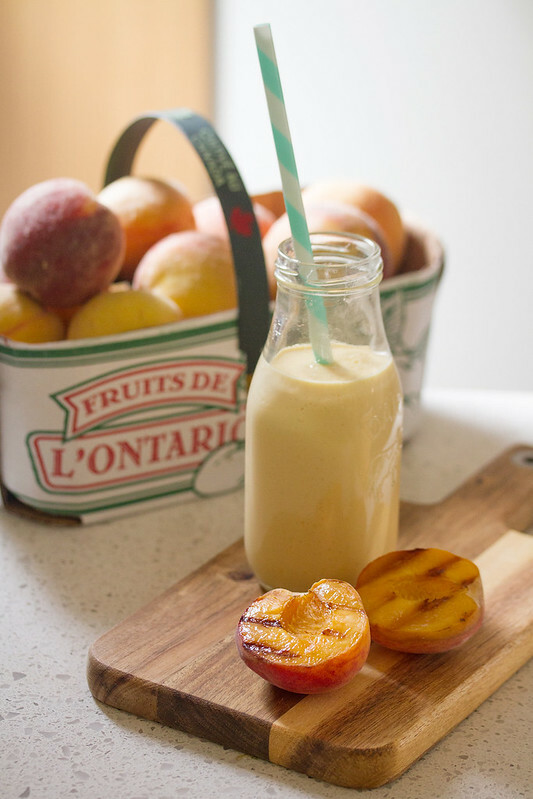 Grilled Peach Lassi from me! I picked up some Niagara peaches last week and I agree, this year’s crop seems to be especially sweet and juicy. 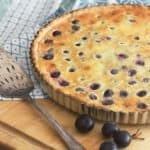 I made a boring pie, this sounds much more interesting! Love it! 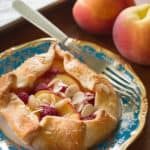 This is definitely a lovely way to enjoy fresh peaches.